This post first appeared on March 5, 2019 in The Industrialist’s Dilemma. 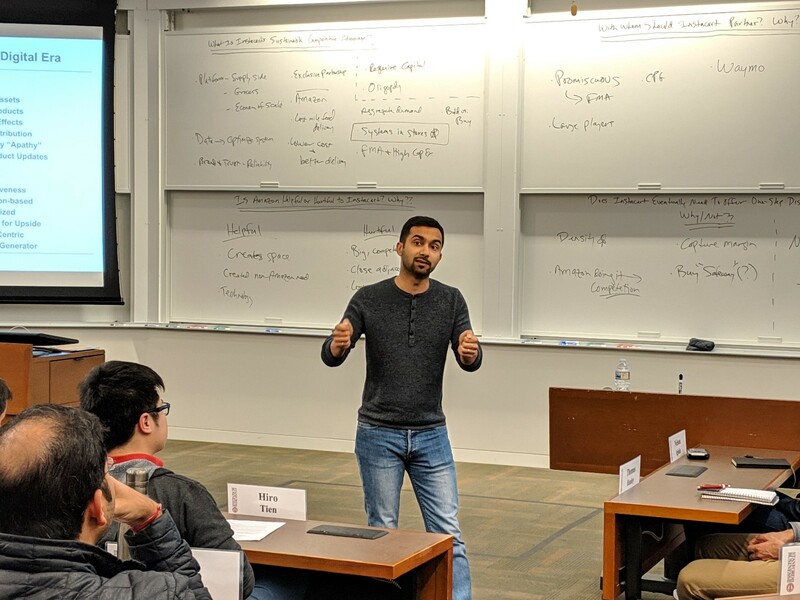 But, as Instacart’s CEO, Apoorva Mehta, helped us understand, the size, complexity and opportunities around his company’s business is predicated on Instacart’s simultaneously managing partnerships with both new and existing players in the rapidly changing landscape of the grocery deliver market. And the value of what Instacart brings is dependent on the ways — some expected and some unexpected — that the company navigates its four-sided market. When we had Tony Xu of DoorDash as a guest two years ago, he discussed the issues surrounding three-sided markets, and the steps that DoorDash has had to take to make their business work for all parties in their ecosystem. Mehta highlighted that in Instacart’s case, his company’s business is actually four-sided: shoppers, customers, grocery retail partners and CPG companies that sell the products customers purchase. In this ever-changing world, which is increasingly blending physical and digital solutions, the reorientation of the value chain, and the fight to collect the economic rents in the value chain, are the battles currently being waged. In order to provide consumers with a best-in-class digital experience across their entire store footprint, companies in this market segment will require partnerships to deliver their goods and services as in most cases a single firm cannot dispatch a full solution on its own. Mehta highlighted that the role his company plays is to enable a needed capability that most grocers don’t have in grocery delivery. With over 40,000 grocery storefronts across the US and Canada, over 80% of which are not Walmart or Whole Foods, Mehta’s team understands that the skills of his grocery partners (merchandising, etc.) are not the value that Instacart brings to consumers. At the same time, making grocery purchasing more convenient for customers, as well as helping grocers change their physical set-ups to more effectively service these home delivery customers (30% of American households have ordered groceries online), has become a way that Instacart adds continued value to their grocery partners. Additionally, by offering coupons and direct data on end user purchases thru a digital medium, Instacart can more efficiently help CPG companies understand end users and people’s purchasing trends. And while this latter area could be competitive at the margin to certain aspects of a grocer’s business, Instacart is shifting the digital spend of these advertisers from TV, Google and Facebook to help the overall value chain run more efficiently. * Of course, there is always an asterisk. Companies should not compete with their partners as long as those partners are not inhibiting the growth and success of a firm. In some instances, as we saw with Nest and household contractors/installers, and with a few aspects of the mobility industry where car dealerships may not have the same long-term goals as automotive manufacturers, conflicts will inevitably arise. The ability to look for collaboration where multiple parties need and can influence each other positively are the types of partnerships a company must seek. 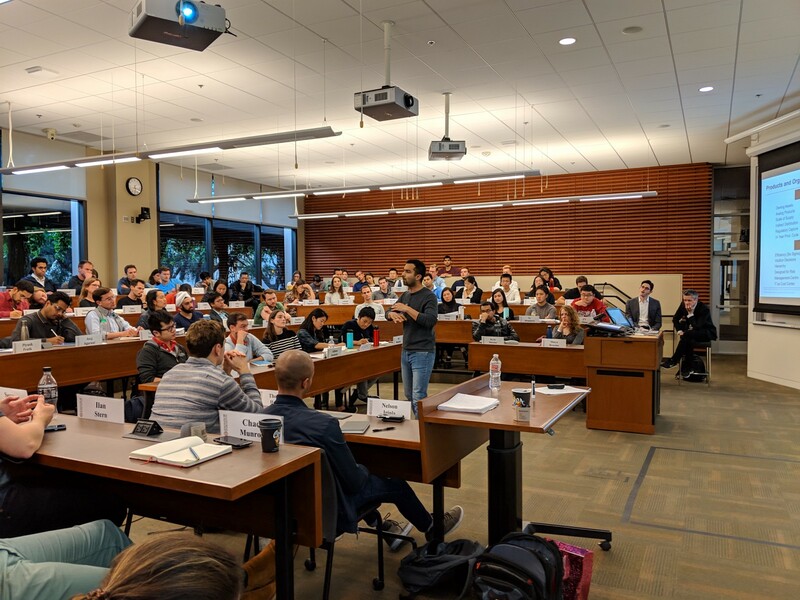 Mehta talked about the amount of information his company is able to gather, but perhaps more importantly, he also shared how the information they have has allowed Instacart to develop software and IT systems that can make grocers more efficient in their businesses. Instacart understands what products are being purchased at what times by consumers, how grocers can more effectively use their distribution centers to match consumer behaviors, and Instacart can in the future allow grocers to have a much tighter understanding of what is happening in their business on a real-time basis. These value-added services do not compete with grocers, per se, but do end up going after the value in the IT chain for those large companies (e.g. IBM, etc.) that currently supply software to grocers. When looked at from this angle, the physical delivery of groceries has opened up a whole new market to Instacart that is complementary and orthogonal to its delivery business — the IT business that supplies the grocery industry. In this case we see another example of “you may not see them coming” — as with 23andMe in the drug delivery space or Stripe in the payments space — a company has the ability to enter an industry from the outside. And, in this instance, it started with a physical solution enabling a digital one. When we talk about existential threats to companies, the one firm that engenders the most discussion and gets mentioned the most is Amazon. Given the company’s aggressive behavior, knowledge of customer purchases and its willingness to invest in and acquire multiple portions of its own value chain (and also enter new businesses), almost every visitor in our class (regardless of industry) ends up mentioning Amazon at one point or another. And for Mehta, Amazon struck very close to home. The latter’s acquisition of Whole Foods for almost $14 billion put one of Instacart’s partners into the hands of a fierce competitor who seems to know no boundaries in its expansionary behaviors. But, as Mehta highlighted, as bad as the day was when the Whole Foods acquisition was announced, the day after was much better. The rest of the grocery industry woke up to a new world where one of the world’s most valuable companies had made an aggressive move into its space, and the incumbents realized they would need help to serve customers better, to run their companies more efficiently and to remain relevant in a world of increasing online grocery shopping. And Mehta knew just the company that could help.